Crispy Calamari – (below, in front) with pico de gallo and squid ink aioli. 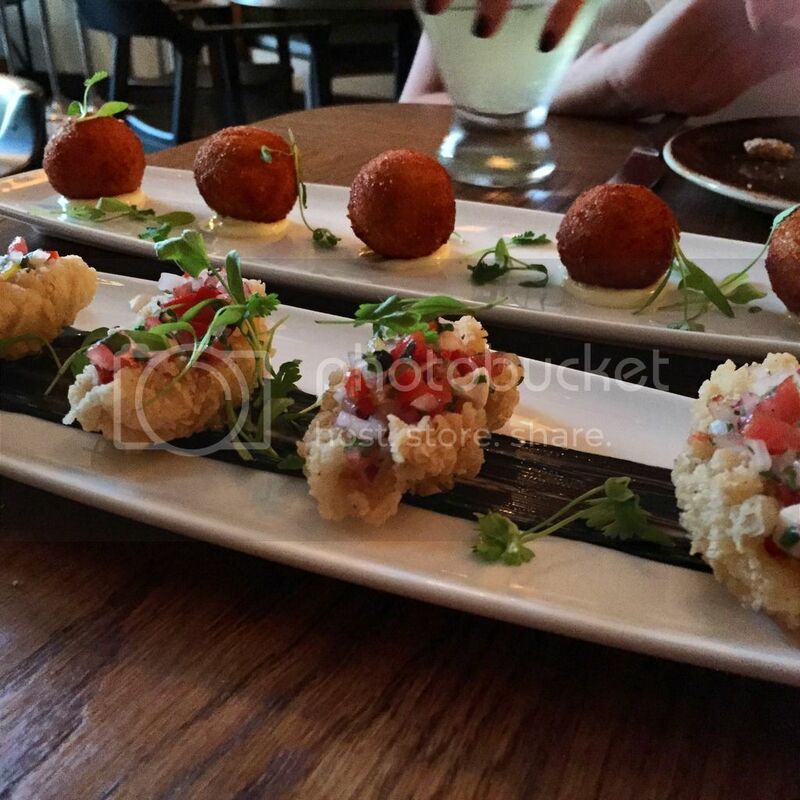 Croquettes – (our favorite, below behind calamari) stuffed with goat cheese and prosciutto. 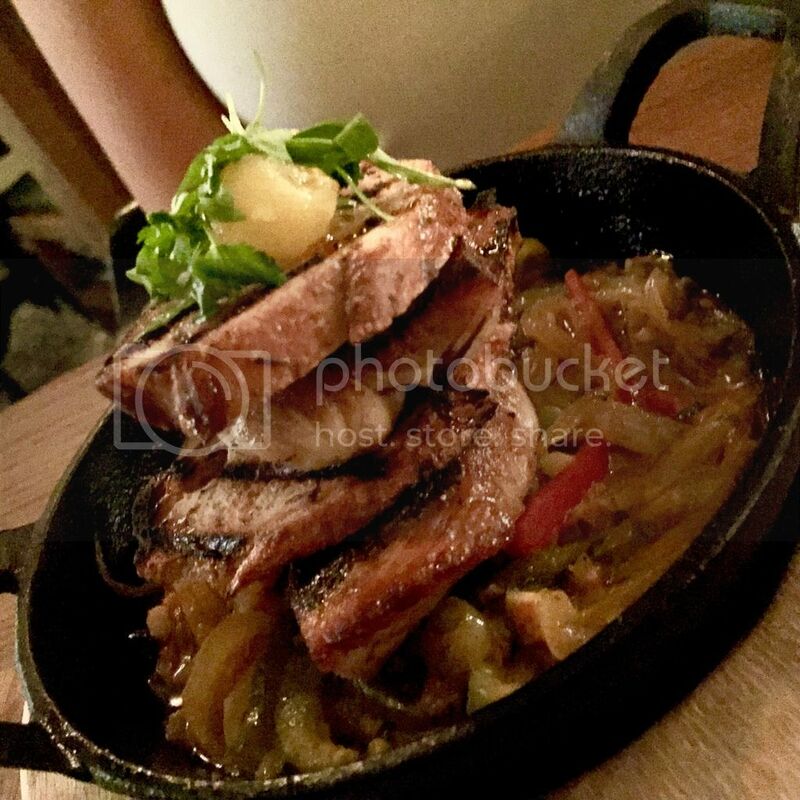 Catch of the Day – (below) fresh snapper with veracruzana sauce and baby heirloom tomatoes. 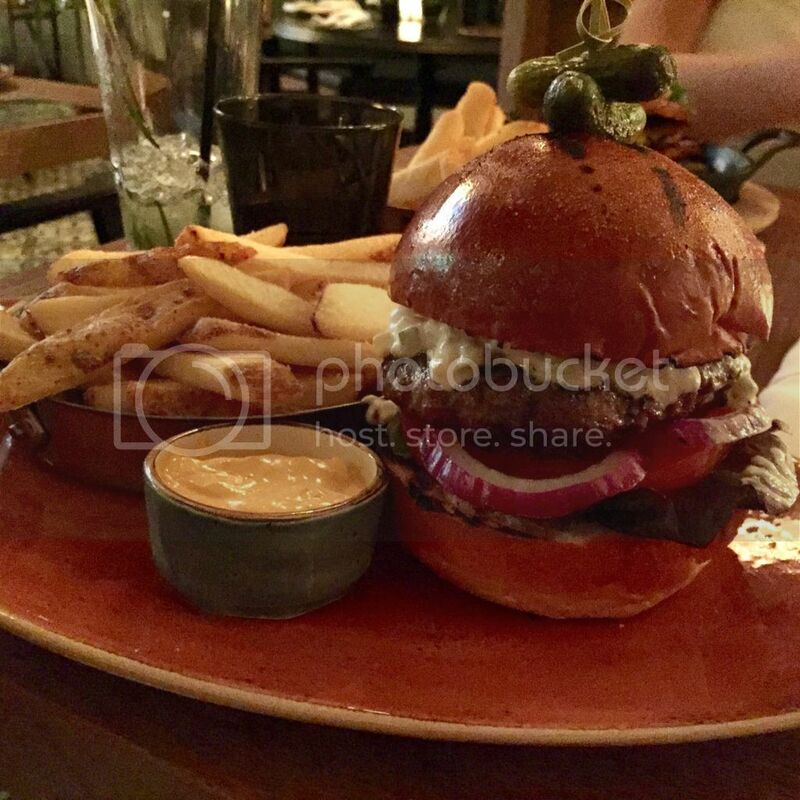 Lamb Burger – (below) get ready for that food coma. 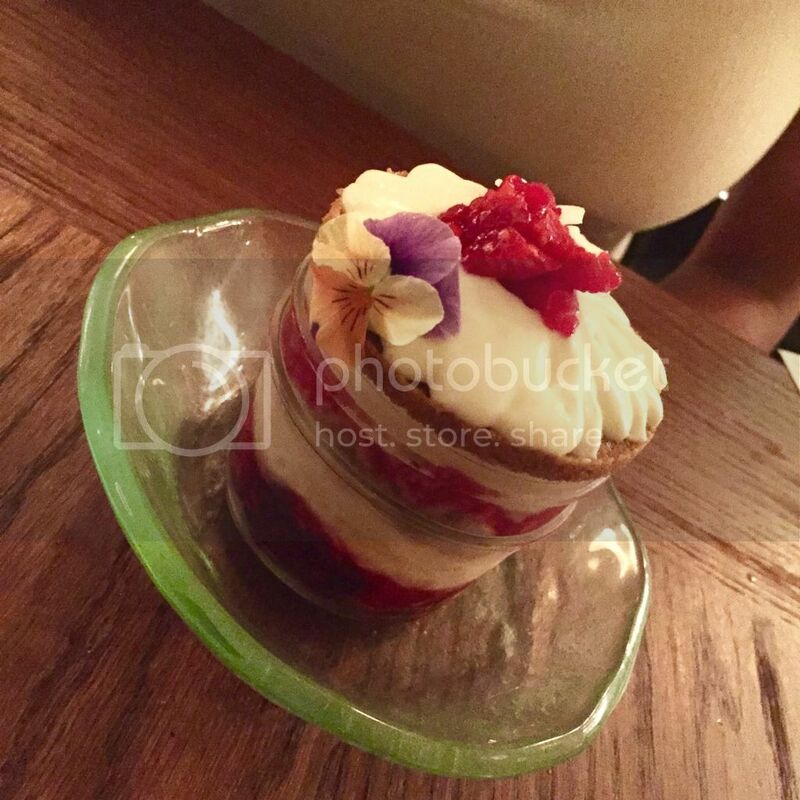 No-bake Goat Cheesecake – (below) as tasty as it is pretty. 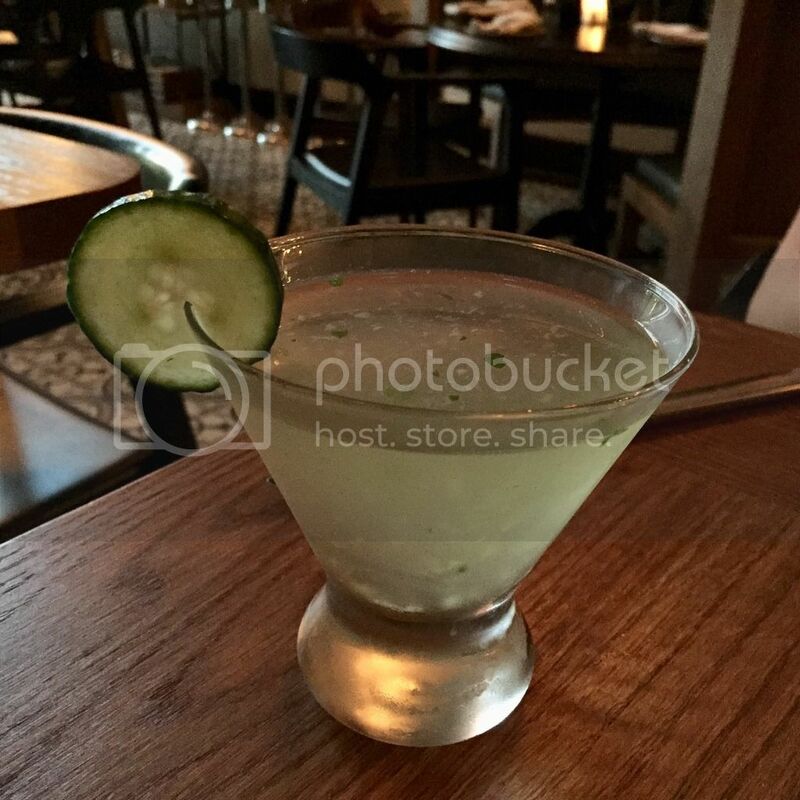 Andrea – (below) Hendrick’s Gin, St. Germain, mint and cucumber, $16. 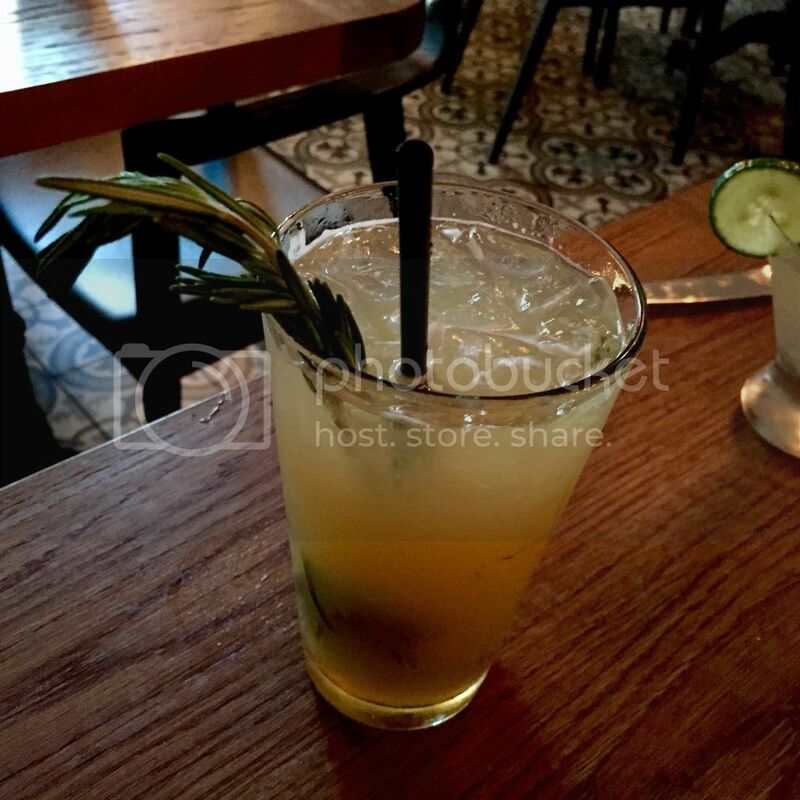 Park Ave – (below) Jameson Irish Whiskey, fresh pineapple, Barenjager and rosemary, $14. 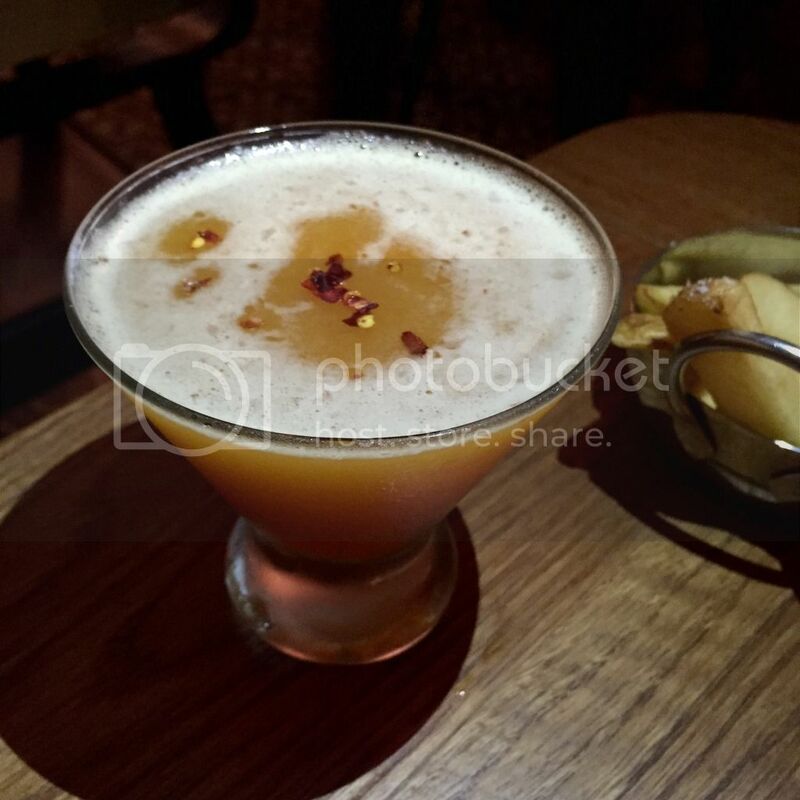 Fat Tail – (our favorite, below) Grey Goose, Domaine Canton Ginger Liquor, cranberry, passionfruit nectar and red pepper flakes, $16. 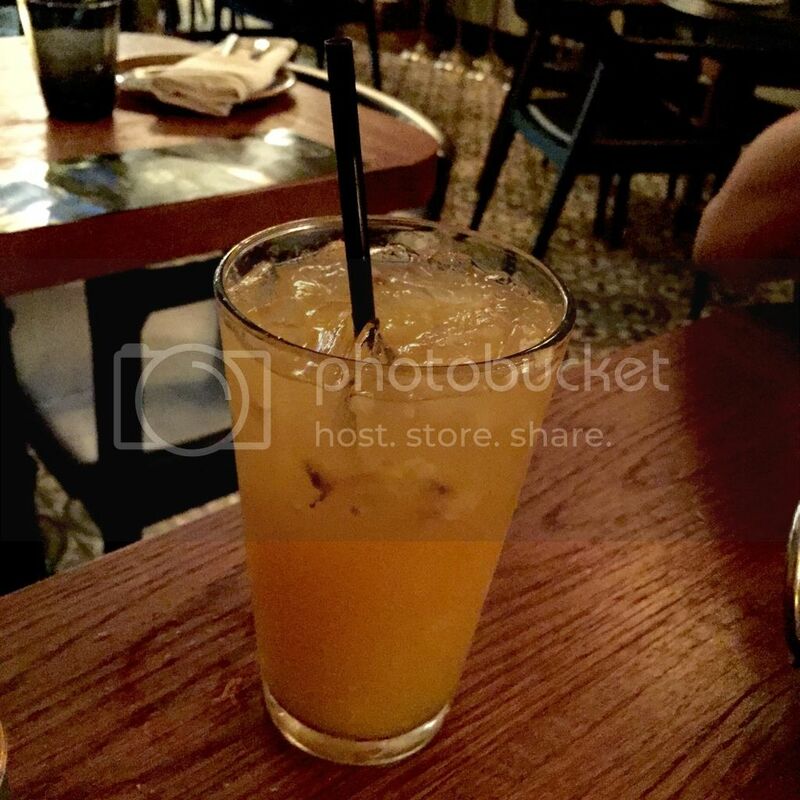 Marley – (below) Appleton Jamaican rum, fresh ginger, fresh orange, fresh lime and simple syrup, $16.